RAF clock could fly at Crewkerne auction next May. This unusual RAF sector clock in a mahogany case is to be sold by Lawrences Auctioneers of Crewkerne. 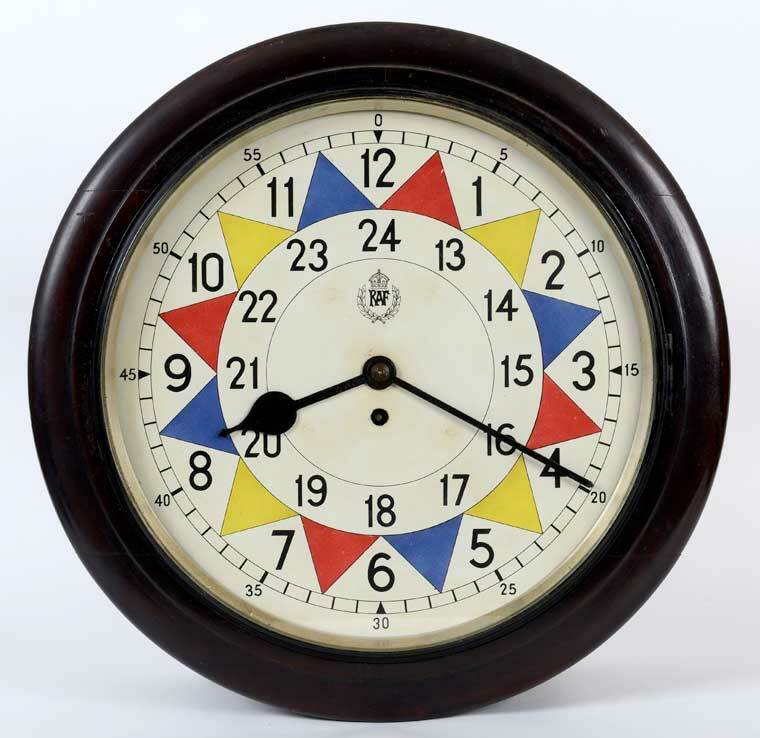 Made by FW Elliott for the RAF, it has a 24-hour circular dial and painted segments and is in remarkably good order. The clocks were produced for use on military airfields to help monitor enemy aircraft and control friendly aircraft, and this example probably dates to the 1940s/50s. It will be sold in Lawrences Collectors’ and Militaria Sale on Friday 12 May and is expected to make £2,000-3,000 in auction. For details about this sale please contact Simon Jones on 01460 73041.